Adjust your valves every 100 hours. First 10 hours for performance engine models. 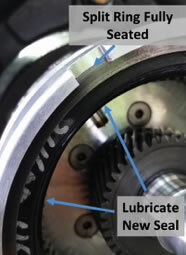 HDR Transmission Main Seal Replacement Guide. These instructions provide you step by step procedures toRreplace the large outer main seal on the HDR transmission. These instructions provide you step by step procedures to service and repair your HDR Electric Shift Reverse drive. check your bolts on the mount, drive and engine at 25 hours and then every 100 hours. 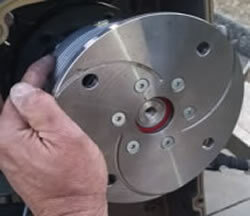 Kent Saxon from Gator Trax does a good job here with tips, break in and service of your new motor. 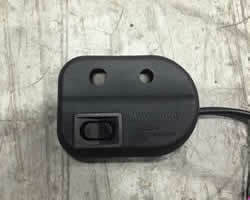 Your performance carburator jets are set at the factory for your mud motor. If you run at elevations above 4500 feet you can reduce the main jet by 10 points. Example, if it says 180 on the jet you can use the 170 for a cleaner burn and better power. Some customers brave installation of a performance cam in their large block vanguard engines. The BPS cam provides better lift, holds the valve open longer to provide more fuel in and out of the cylinder for better power and load carring ability. Assembly and disassembly of the drive. Break in, greasing etc. courtesy Kent Saxon Gator Trax Boats.